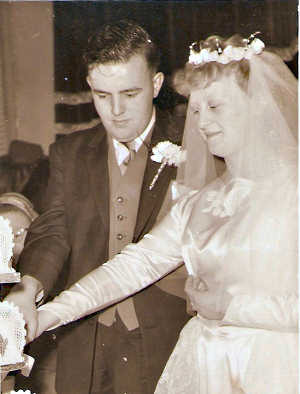 Stan and Judith Turner who live in Deaf Hill are celebrating their Golden Wedding Anniversary on 2nd April 2010. Stan and Judith are well known to many people in Trimdon because of their connection with the Methodist Church and for many years they ran Trimdon Florists in Trimdon Village. Stan was born in Trimdon Station in 1938 and his parents ran two shops, and for many years his sister (Dorothy) and her husband (Bob Richardson) ran the newsagent in Trimdon Colliery. Friends and family will be joining them over the weekend for a short service at Rose Street Methodist Church and then a party. Many congratulations to them and our best wishes for a lovely time.